Thu., 5 Sep. - Mon., 9 Sep. Tue., 13 Aug. - Tue., 20 Aug.
Fri., 28 Jun. - Sat., 13 Jul. Sat., 27 Jul. - Fri., 2 Aug.
Fri., 26 Jul. - Sat., 3 Aug.
See all 69 properties in Edmonton Intl. 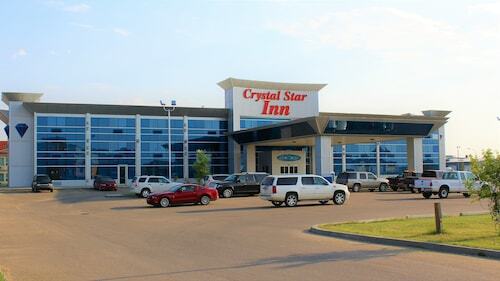 Located in Leduc County, this golf hotel is 1.5 mi (2.5 km) from Premium Outlet Collection: Edmonton International Airport and within 6 mi (10 km) of Castrol Raceway and Doctor Woods House Museum. Stone Barn Garden and Leduc Recreation Centre are also within 6 mi (10 km). 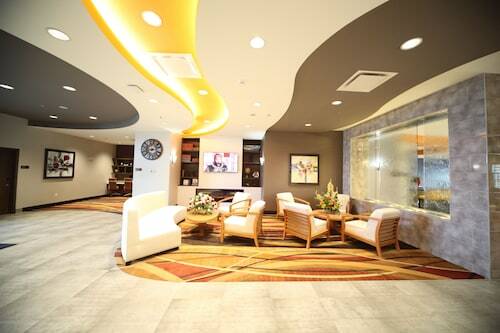 Guests can either drive 5 minutes from the airport to this modern hotel, or hop on the free 24-hour shuttle. Downtown Edmonton is a 25-minute drive, and West Edmonton Mall - one of North America’s largest shopping and entertainment complexes - is 22 miles (35 km) away. 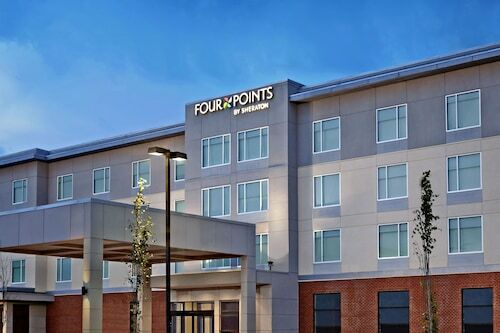 Located in Leduc County, this hotel is 1.7 mi (2.7 km) from Premium Outlet Collection: Edmonton International Airport and 2.9 mi (4.7 km) from Doctor Woods House Museum. Maclab Centre for the Performing Arts and Stone Barn Garden are also within 6 mi (10 km). Located in Leduc County, this hotel is 1.4 mi (2.3 km) from Premium Outlet Collection: Edmonton International Airport and within 6 mi (10 km) of Doctor Woods House Museum and Maclab Centre for the Performing Arts. Stone Barn Garden and Leduc Recreation Centre are also within 6 mi (10 km). 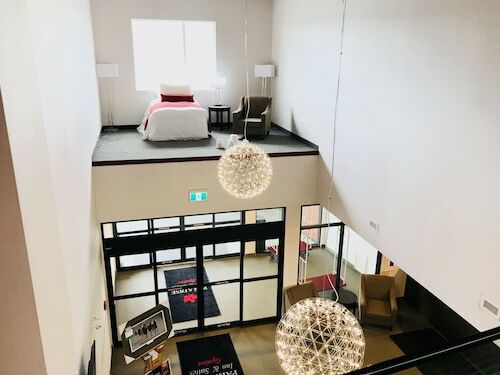 Located in Leduc County, this hotel is 1.3 mi (2.1 km) from Premium Outlet Collection: Edmonton International Airport and within 6 mi (10 km) of Doctor Woods House Museum and Maclab Centre for the Performing Arts. Stone Barn Garden and Leduc Recreation Centre are also within 6 mi (10 km). 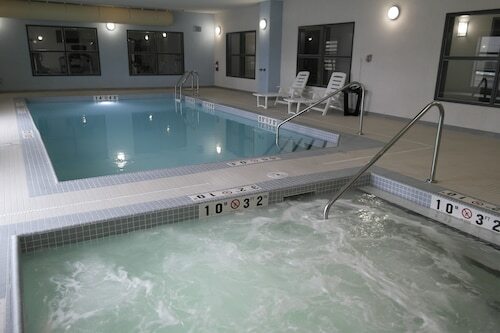 Located in Leduc County, this eco-friendly hotel is within 3 mi (5 km) of Doctor Woods House Museum, Premium Outlet Collection: Edmonton International Airport, and Stone Barn Garden. Maclab Centre for the Performing Arts and Fred John's Park are also within 3 mi (5 km). Located in Leduc County, this hotel is within 3 mi (5 km) of Doctor Woods House Museum, Premium Outlet Collection: Edmonton International Airport, and Stone Barn Garden. Maclab Centre for the Performing Arts and Fred John's Park are also within 3 mi (5 km). Located in Leduc County, this hotel is 1.4 mi (2.3 km) from Premium Outlet Collection: Edmonton International Airport and within 6 mi (10 km) of Doctor Woods House Museum and Stone Barn Garden. Maclab Centre for the Performing Arts and Leduc Recreation Centre are also within 6 mi (10 km).